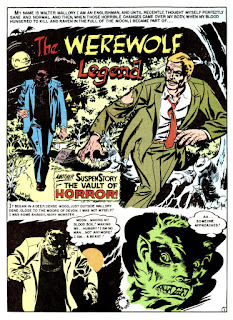 “The Werewolf Legend” is from The Vault of Horror #12, which is actually #1, from 1950. It is, once again, the EC publisher avoiding having to pay for a whole new second class mailing permit for a new title. 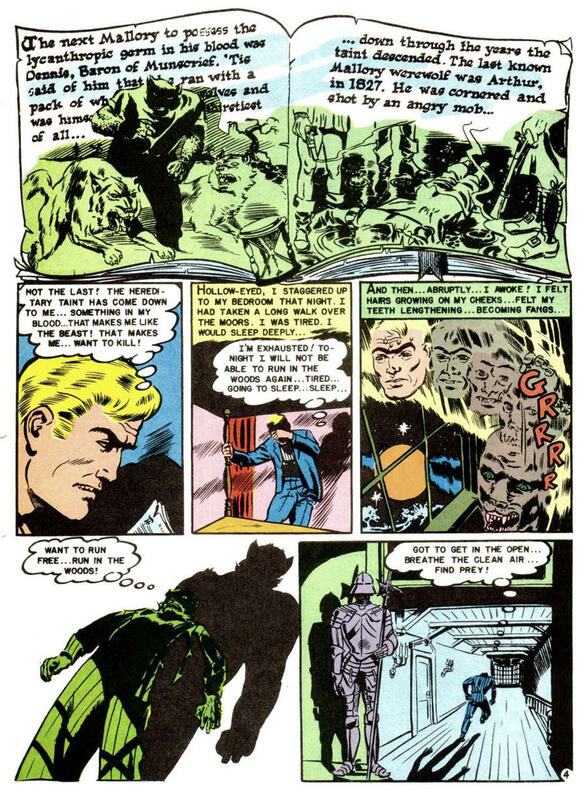 So War Against Crime was killed after issue #11, and resurrected as The Vault of Horror #12. 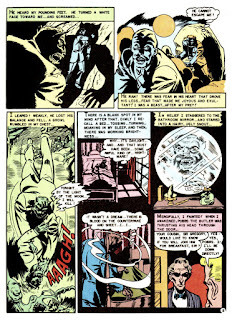 EC had been experimenting with horror stories in their crime books, and felt secure enough to issue horror comics under their own titles, after chiseling the Post Office. 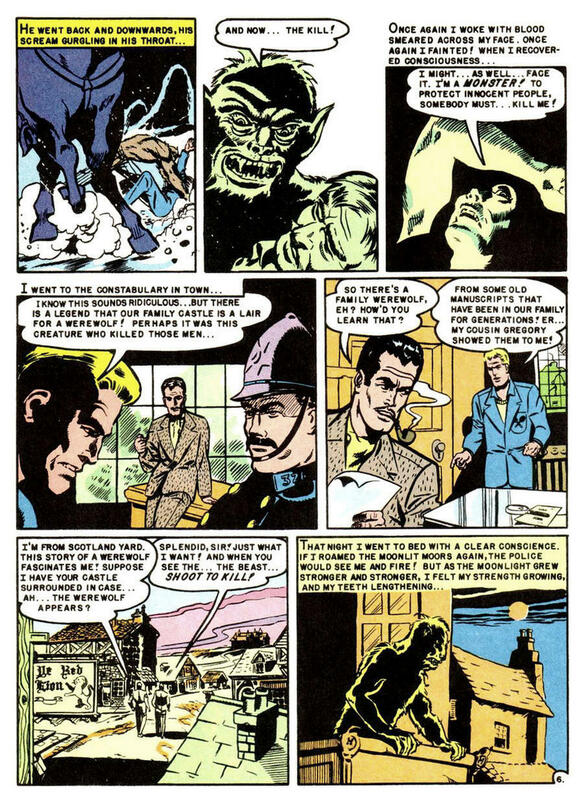 The story is drawn by Harry Harrison and Wallace Wood. 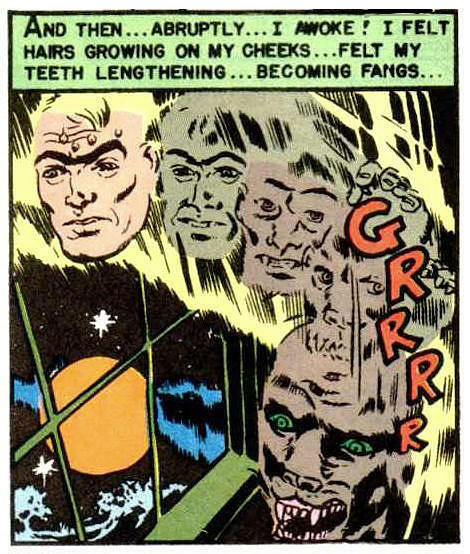 I am not sure who did what, but the inker may be Harrison. 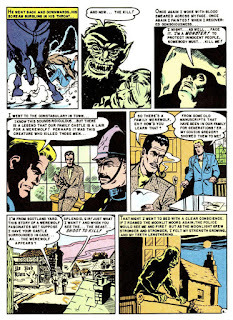 He bragged once about how fast he could ink with a #7 brush, “socking in the blacks,” as he called it. 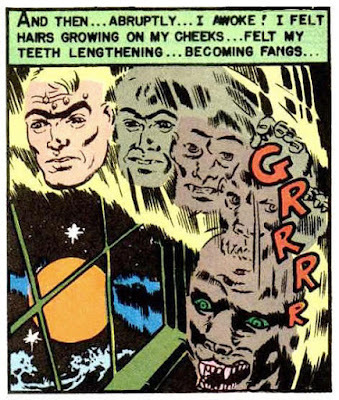 The story is kind of a cheat, and also clumsy, putting all of the exposition into the last couple of panels. 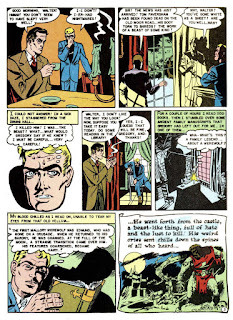 (The stories got better over time, which is why EC Comics has the reputation they do today.) 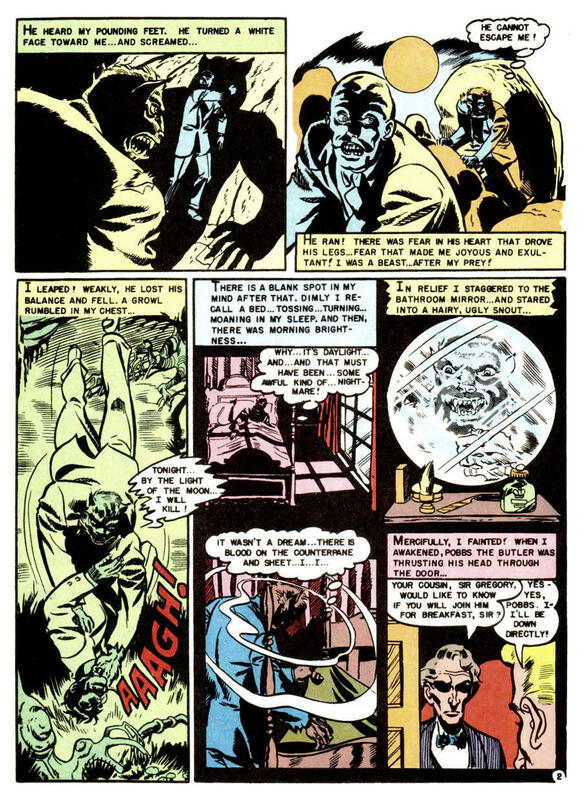 The credit for the story goes to Gardner Fox, based on information from Tales of Terror/The EC Companion, by Fred Von Bernewitz and Grant Geissman. Only thing that is missing is Scooby and the gang! I love EC, but this is typical of early ECs, they are still in the crime/superhero mindset and they wouldn't become complete books of horror stories until a couple issues down the road. Still fascinating stuff, for how much of a prototype it was. The Wood/Harrison werewolf is so cute! The best thing about the story is it's variation on "kill two birds with one stone" -- the kill three birds, and get a fourth to cop to it to get two stones (the inheritance as well as a scapegoat). As klunky as it is, the story would have been even worse if it actually had the fourth bird committing the dirty deeds. 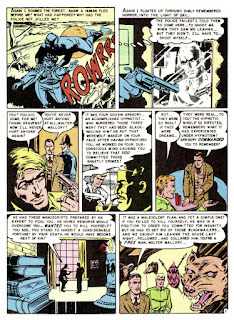 BTW scans of the original art for the complete story can be seen at Heritage Auctions. 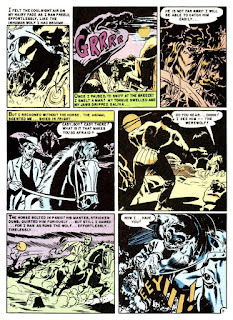 Brian, for sure the rotting corpses coming back from the grave for revenge were a way off for EC when this was published, but the story is a pretty good step toward what was to come. 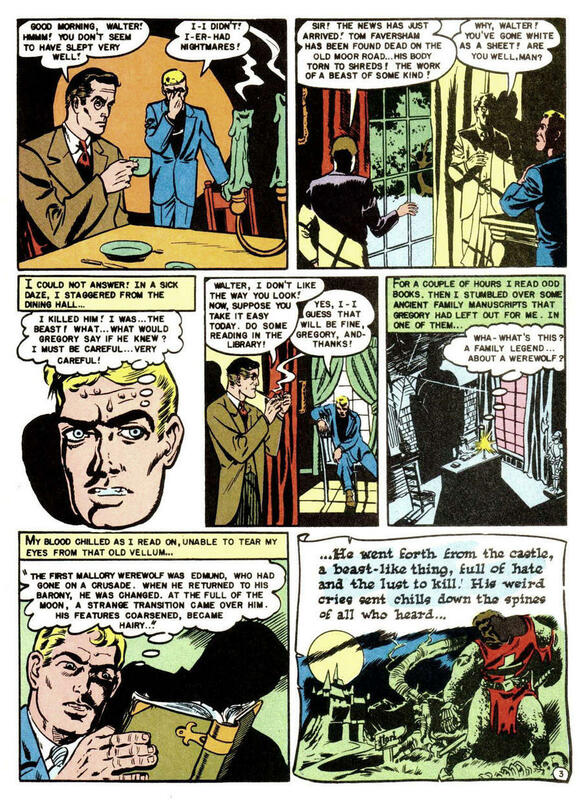 I'm not sure how much the early EC was affected by the war against comics. 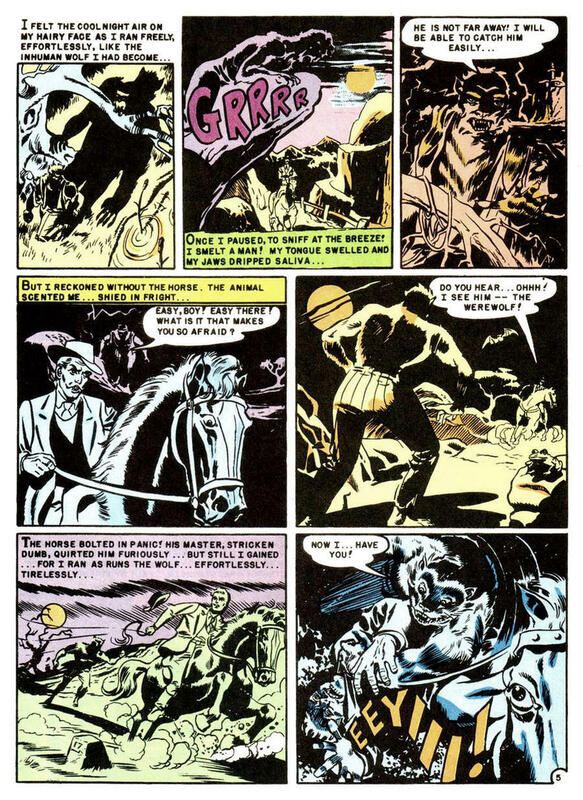 I don't remember reading that Gaines and Feldstein were dissuaded by the anti-comic book crowds during that time, so maybe they escaped notice until the comics caught on with the public. Randygrf, thanks for pointing me to Heritage. I love their scans!